We’ve all experienced issues with plumbing at one time or another. What can you do if you have a slow drain, but using simple store-bought products are not enough to solve the problem? 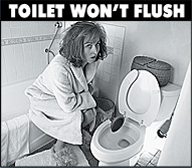 Who can you call if your toilet doesn’t flush and the plunger isn’t helping to clear your drain? Don’t wait any longer to call us! We offer the best services for sewer repair in Lafayette. You will be amazed at our affordable prices. We’ve been in business for 17 years and have established a respectable reputation with sewer repairs in Lafayette. Give us a call at (510) 782-3649 or (925) 692-5834 today. You can also visit us at 360 Grand Ave. Suite 155, Oakland, CA 94610 whenever you like. For fast, reliable and affordable Lafayette sewer repair services, you can always rely on us. Give us a call or fill out the form on our Contact Us page to get started today. If you’ve been having any plumbing or sewer problems at all, we are always happy to assist you. We understand that problems like these can be overwhelming and scary – especially for first time homeowners. We are eager to serve you and we strive to provide the best sewer repair in Lafayette. We specialize in both small and big jobs. We will always look out for your best interests with our quick attention to your problems and concerns. We offer reasonable pricing and we rank high in customer satisfaction. You will not regret hiring us for any of your Lafayette sewer repair needs. If you’ve been having long-term trouble with your plumbing and pipes, you may need a bigger job done like a Lafayette sewer replacement. Many clogs can be the result of tree roots damaging your sewer lines if you live around any big trees with extensive roots. We offer competitive prices and our professional staff of plumbers can get the job done for you quickly and efficiently. 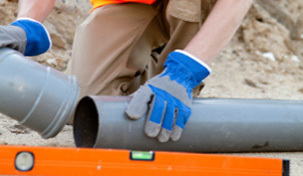 We are a leading company when it comes to Lafayette sewer replacement work. 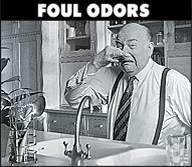 If you’re experiencing bad odors coming from your kitchen sink, you should try our Lafayette sewer cleaning service. These are top of the line quality cleanings that stop foul odors from returning and keep your drains flowing fast. Having Lafayette sewer cleaning performed regularly is a great way to prevent big, costly problems in the future. 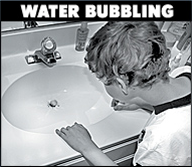 Do you ever hear water bubbling or dripping below your sinks and tubs, but can’t find the problem? Sometimes it’s hard to tell what the problem is or what’s causing the funny sounds. Our plumbing experts will come to your rescue! We also offer sewer inspections in Lafayette. A sewer inspection in Lafayette is free for residential customers. They are even captured on video for your convenience! 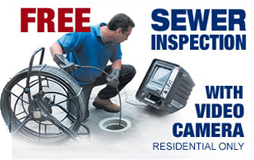 Call us today and start by scheduling your free Lafayette sewer inspection. We have many repeat customers who trust our expertise and services. Feel free to check our website periodically for some great deals! We can also be reached by telephone at: (510) 782-3649 or (925) 692-5834. When it comes to professional quality Lafayette sewer repair services, our team of plumbing experts is always standing by to help.